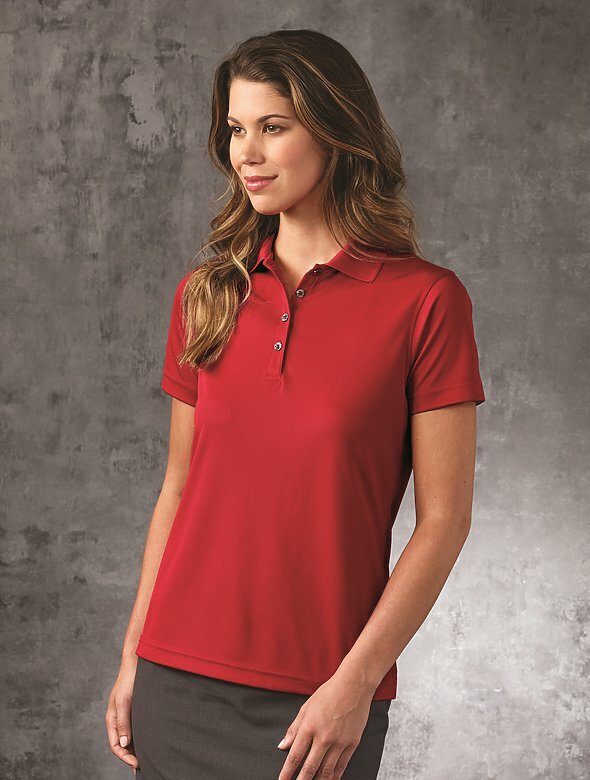 The perfect polo for work or play, Saratoga?s superior moisture wicking and anti-microbial properties will always keep you cool and comfortable. Look sharp, too; these polos also boast snag resistance technology and a wrinkle-free finish. 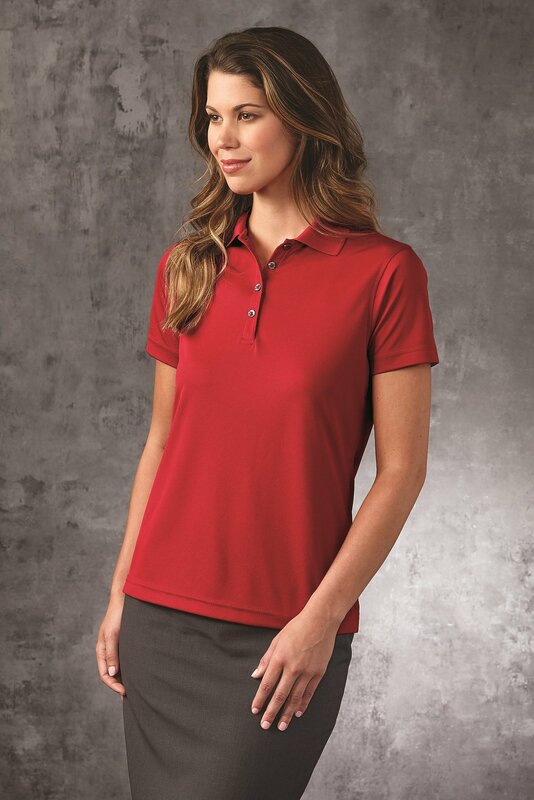 Four-button reverse placket, cap sleeves, tapered waist. Hemmed sleeves and bottom. 4.3 oz. Colors - Black, Carbon, White, Heather Gray, Butter, Kelly, Melon, Kiwi, Hunter, Seagreen, Navy, Royal, Turquoise, Bimini Blue, Grape, Purple, Cardinal, Red, Neon Lime, Neon Pink, Charity Pink, Sport Gold, Orange.